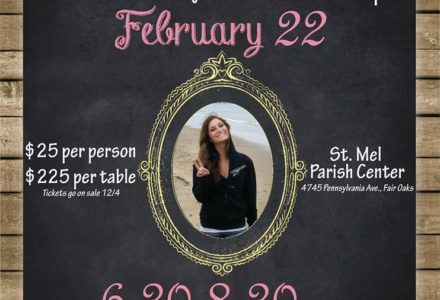 Join the Fair Oaks Recreation & Park District and Fair Oaks Youth Advisory Board for the Rachel Anne Gray Spaghetti Dinner & Silent Auction at the St. Mel Parish Center. All funds raised will go towards the Rachel Anne Gray Memorial Scholarship. Night will include: spaghetti dinner prepared by the Fair Oaks/Orangevale Grange #354 and served by the Fair Oaks Youth Advisory Board, silent auction, raffle, wine pull, scholarship awards, and special tribute performance. Aloha! 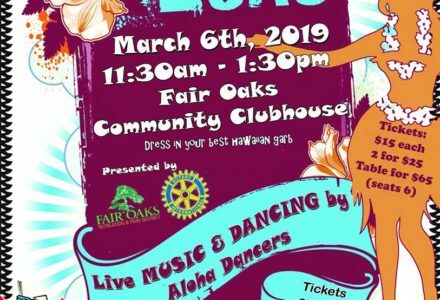 The annual Senior Luau is an event produced by the Fair Oaks Recreation & Park District and the Rotary Club of Fair Oaks. 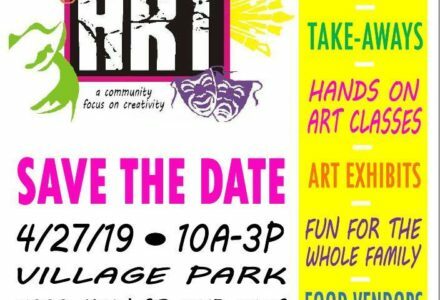 This event allows seniors in the Fair Oaks community to come together and socialize in a friendly, enjoyable environment and experience a Hawaiian Luau. Live music and dancing provided by Aloha Dancers. Lunch provided by American River College Culinary Arts Catering. Seating is limited, purchase tickets in advance, no tickets will be sold at the door. Beginning December 13, 2018 tickets may be purchased by visiting the Fair Oaks Recreation & Park District office Monday - Friday between 8AM - 5PM. Join Stephanie Ponce from the State Water Resource Board & District Staff for a guided tour through the Phoenix Park Vernal Pools. 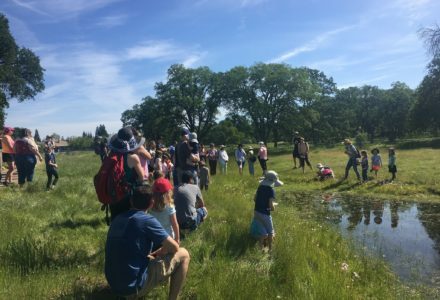 Meet at the Vernal Pools Kiosk at 10:00AM. Please note: parents and guardians are responsible for keeping children on the path during the tour. Unfortunately, dogs are not permitted in the Vernal Pools. 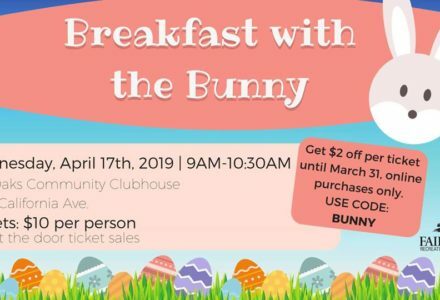 Hop on over and enjoy a continental breakfast, crafts, and pictures with the Bunny. Please, bring your own camera. 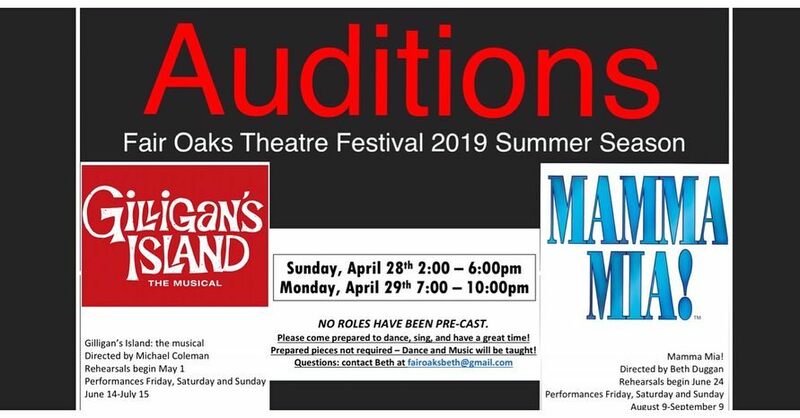 No Roles Have Been Pre-cast.Come prepared to dance, sing, and have a great time! Prepared pieces not required. Dance and music will be taught. 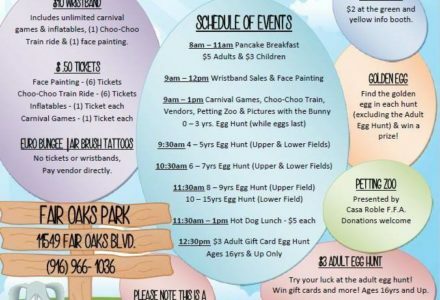 Join the Fair Oaks Recreation & Park District for the 14th Annual Fair Oaks Chicken Festival. General admission and parking is free! 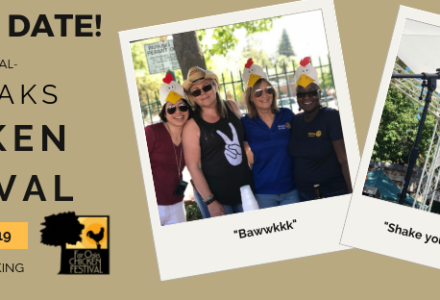 Festivities include: Live music on main stage, pancake breakfast, craft brew tasting, 100+ vendors, SactoMoFo food court, kid's park, kid's entertainment, cluck n' crow contest and so much more. Get your event published on our blog. 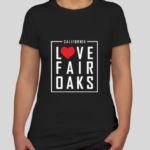 I Love Fair Oaks, a brand of Chrysti Tovani, is a website promoting arts, culture, and entertainment in the Fair Oaks community. 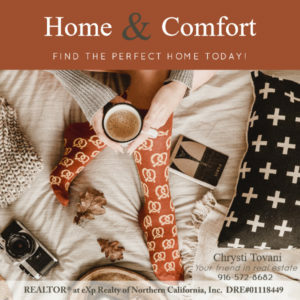 We spotlight local businesses and memorable people of Fair Oaks, CA.